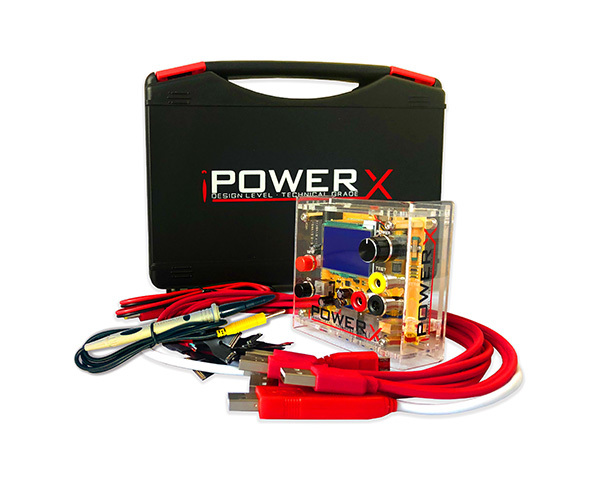 iPOWER X is high precision DC power supply Analyzer Box, technical grade designed for scientific research, product development, laboratories, schools and electronic production lines. The output voltage and current are continuously adjustable at nominal value. Featuring high accuracy, reliability, perfect overload and short circuit protection circuit, they can be an ideal choice for the mobile phone repair industry. 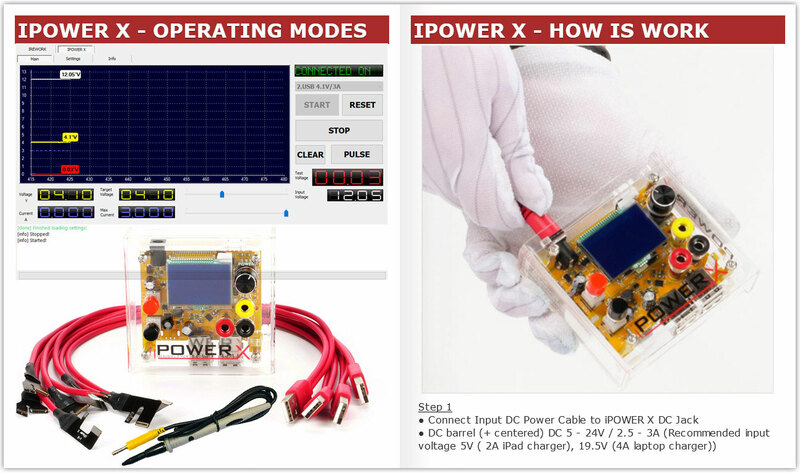 Mobile phone battery simulator ports (4 USB output port (DC 4.2V / 0.5 - 3A ) specially for Apple mobile phone, used together with supplied cables will enable the use of iPOWER X to simulate battery connection. 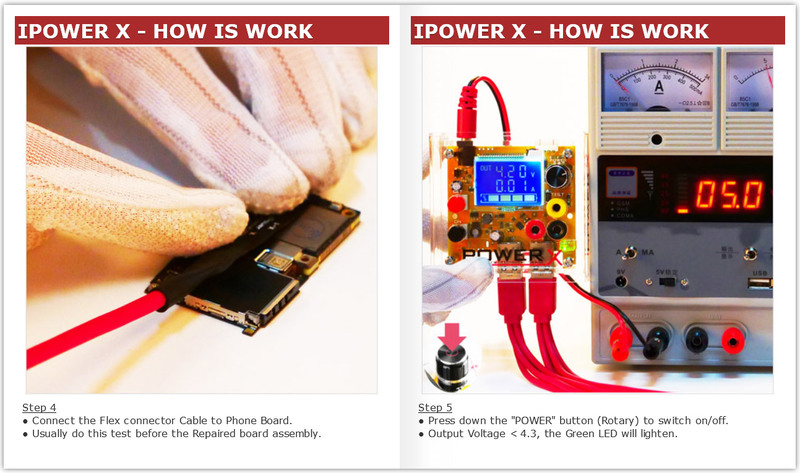 The mobile phone battery simulator ports are hardware limited to 4.3V to protect against accidental voltage settings that might damage the device. They also have reverse voltage protection in case of wrong connections. Current can be limited continuously from 0.1 ~ 3A so that the user can track down short circuit in devices by monitoring board temperature. 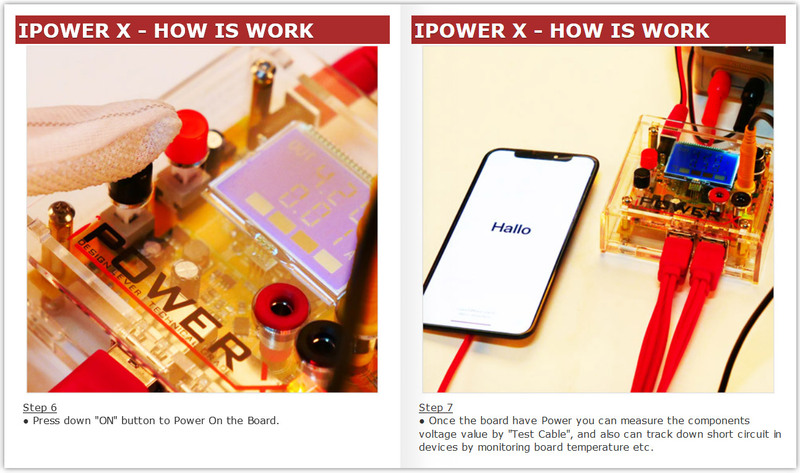 The mobile phone battery ports also control an 5V 200mA output design to simulate power on so can be used with bare boards without connected power on buttons. Integrated Apple battery IC will enable the correct display of battery information in Apple devices. Our software always keeping update, Recommended all users always use the latest version. 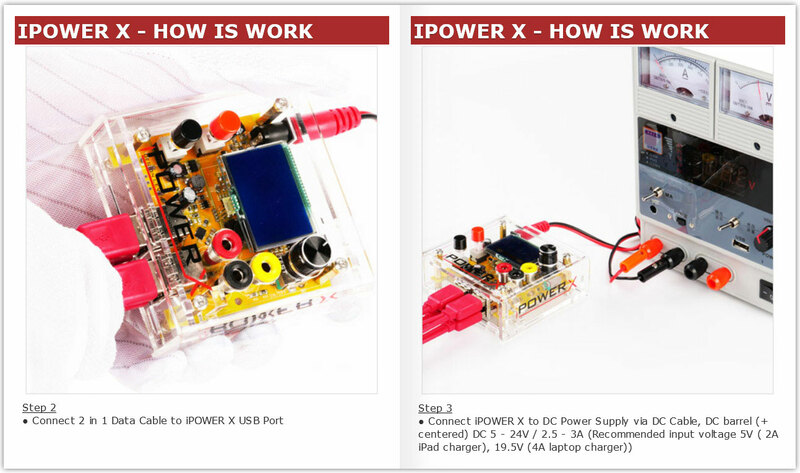 WHY CUSTOMER ONLY CHOOSE iPOWER X BOX ?